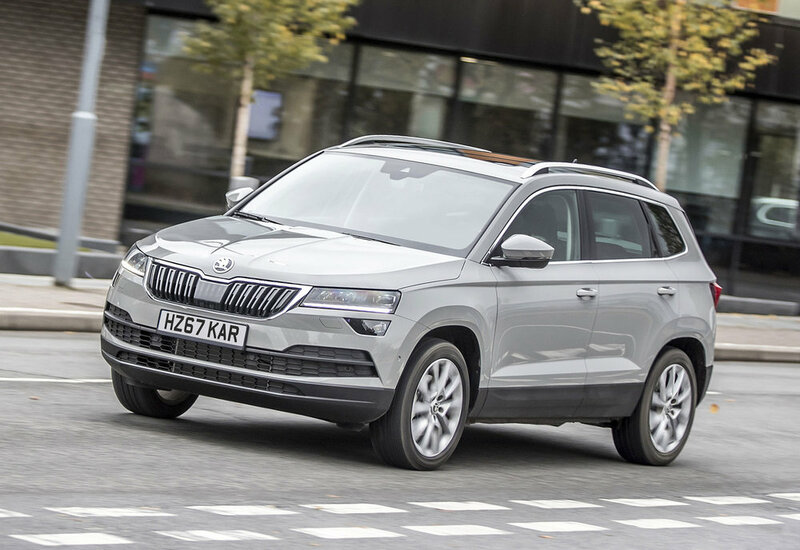 The Karoq replaces the much-admired Yeti, Skoda’s small SUV that so often topped its rivals in the reviewers’ league tables. The Yeti was loved for its quirky character, practicality and relatively low price, leaving the Karoq with a steep mountain to climb. The new offering is bigger and altogether more grown-up. My 6-foot-5 husband sat comfortably in the back with such an embarrassingly large space over his head that I wondered if he’d shrunk. 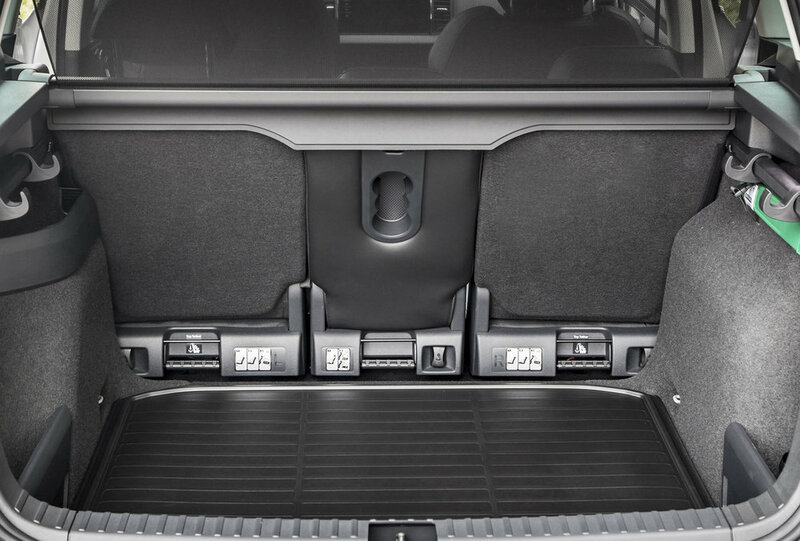 And the boot is vast: if you removed the Varioflex rear seats (more on those later), you could probably get a bicycle in there, never mind the weekly shopping. “Small” SUVs are no longer any such thing. Our test car was a six-speed manual with what’s likely to be the most popular engine – the 148bhp 1.5 TSI turbocharged petrol. With 62mph in 8.4 seconds, the performance is pretty impressive, especially when CO2 is a very moderate 125g/km and Combined mpg a healthy 51.4. Okay, it’s no sports car, but if you want one of those don’t buy a c.£25k SUV – which is the surprisingly small price tag on an SE L trim car with a few options (heated steering wheel and windscreen, metallic paint and a space-saver spare wheel) chucked on top. 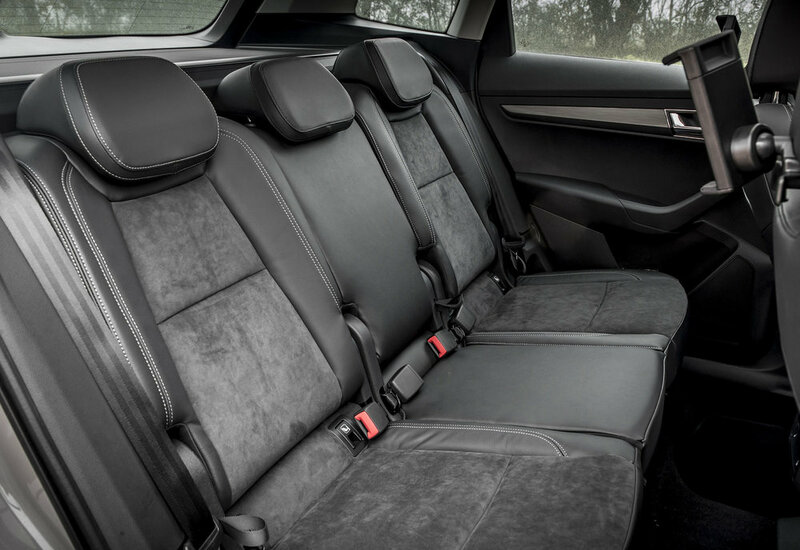 And that’s all it needed, because for the OTR price of £24,520, you get a gobsmackingly generous helping of in-car niceties as standard… from Alcantara upholstery and sat nav, to heated front seats, DAB and Bluetooth, a cooled glovebox and a bloody excellent rear-view camera. You could just about read the home screen of the phone being stared at by the brain-numbed pedestrian who wanders off the pavement as you reverse towards them. Oh, and those Varioflex seats are a standard fitment too – a brilliant carry-over from the Yeti, with independently sliding, reclining (and even removable) rear seats. But it’s not just the genuinely useful gizmos in the cabin that transmit a feeling of quality somewhat at odds with the price. Everything feels good to the touch – heavy, well-weighted and cushioned. Meanwhile, the Karoq’s external appearance is enhanced by the standard 18-inch alloy wheels but the driving experience is not. The clever, pothole-absorbing suspension has to struggle hard to cope with huge, low-profile tyres, and sometimes it fails to stop the odd THUNK over the crumbling asphalt of 2018 roads. I’d love to try the Karoq on smaller wheels and higher-profile tyres as I bet the feel would be drastically improved; but, as is so often the case, cosmetic appearance is considered more important to buyers than mechanical function. So big wheels it is. And speaking of wheels, our test car is no 4x4. You can opt for 4WD but ours was front-wheel drive and the SUV style was for the driving height not off-road antics. So, has the Karoq climbed the mountain to rival the Yeti? For me, yes, if only because the Yeti was so eye-wateringly ugly (facelifted or otherwise) that its appearance was a deal-breaker. I know there are many who called the Yeti’s bulbousness ‘characterful’ and its laughably upright rear end ‘distinctive’, but come on. Enough of the euphemisms: the Yeti was a stonkingly good car but so ugly it hurt to look at it. 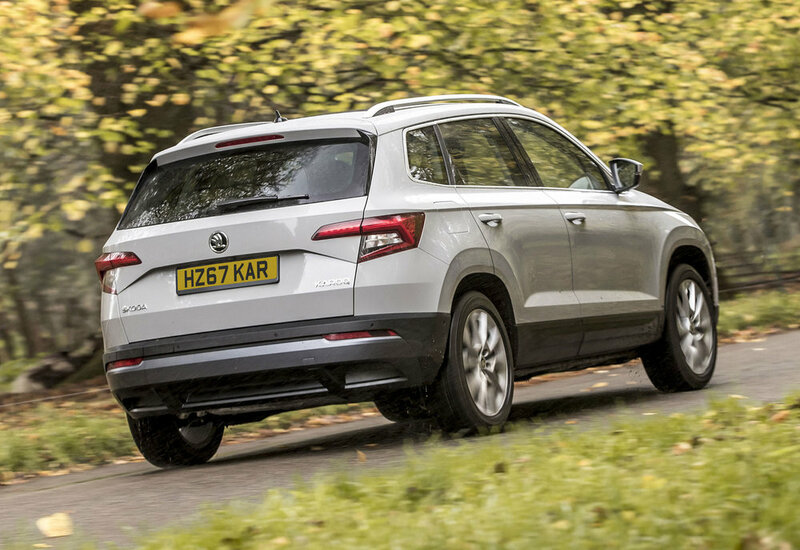 In short, Skoda’s new SUV gets our very definite, very enthusiastic thumbs-up, though for some it might not fill the void left by the admirably unsightly Yeti. 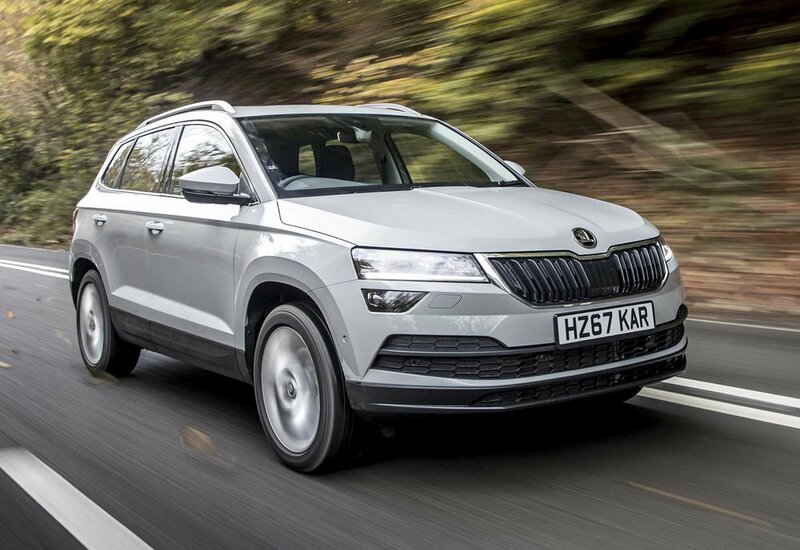 However, if you’re a buyer seeking comfort, practical features and solid in-cabin quality, the Karoq certainly has enough to take on rivals from other marques, such as the sportier Seat Ateca and pricier, slightly larger VW Tiguan.